A move to the cloud is only part of a digital transformation strategy. To help completely transform your IT department, you need to modernize the processes and technologies that allow you to develop and deploy applications at scale. You need to consider a DevOps adoption. 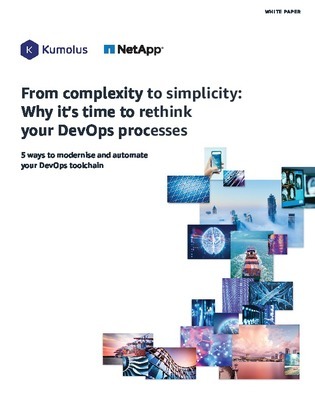 Open this whitepaper to learn about the benefits of a DevOps adoption, including simplifying infrastructure management, continuously and quickly delivering code, automating your release processes, and monitoring your application and infrastructure performance.